1. Cross training is great for cycling. Whether you run, lift weights, go to spin classes, or work out at the gym, staying active is critical for launching your cycling season. 2. 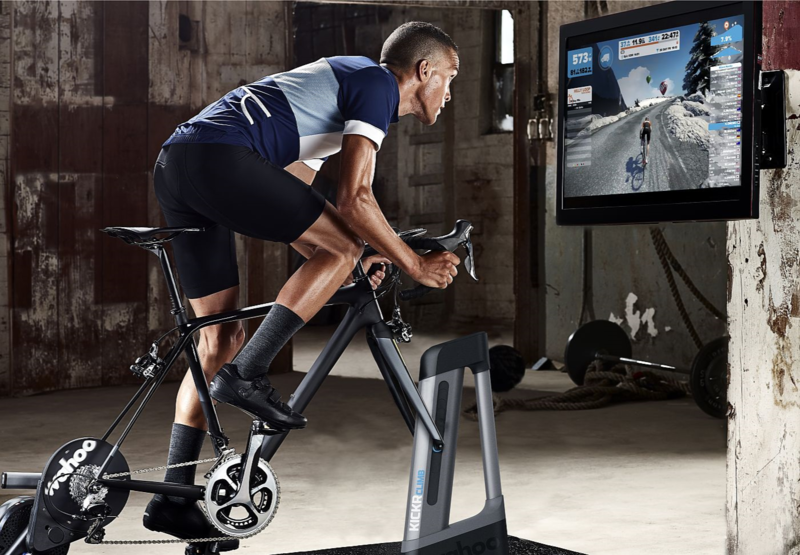 Working out on an indoor trainer is great for cyclists. Simply attach your bike to a resistance trainer, and you ride like you would normally ride on the road. When the spring rolls around, just unplug your bike and hit the road without having to adjust to a new body position. Trainers are a great way to keep riding all winter without breaking the budget. Come in and see our large selection of indoor trainers, and bring your bike to try one out! To see our in stock trainers, click here. 3. Whatever you do, just stay active! Fitness apps are great tools to keep you motivated. For a list of suggested apps, click here.